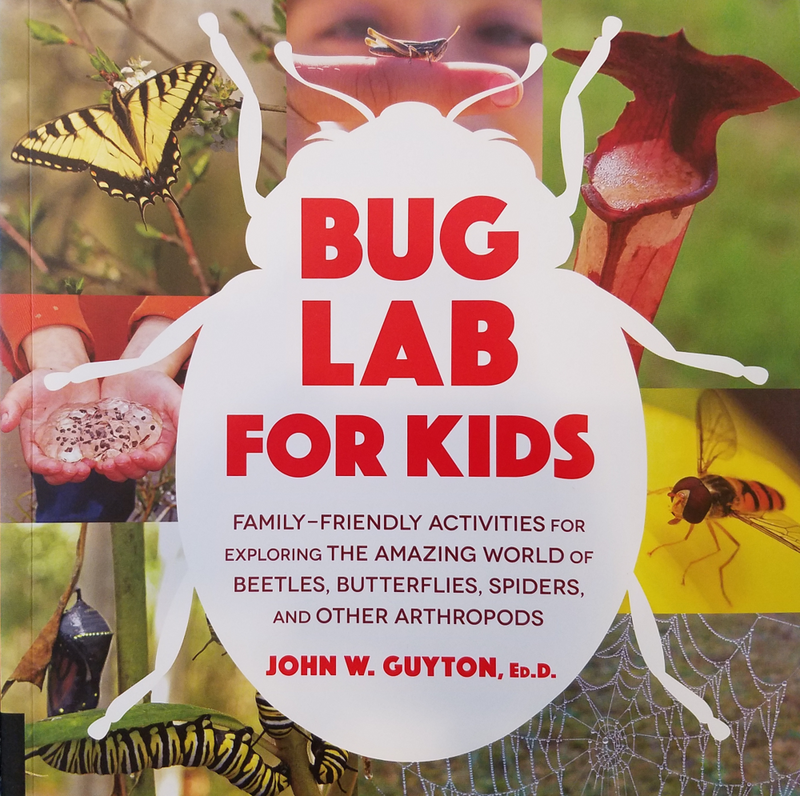 Bug Lab for Kids: Family-Friendly Activities for Exploring the Amazing World of Beetles, Butterflies, Spiders, and Other Arthropods, by John W. Guyton. Quarto Group, 2018. Bug Lab for Kids is a collection of more than 40 fun activities for exploring the exciting world of arthropods, which makes up more than 90 percent of all animals on earth, including insects, spiders, centipedes, butterflies, bees, ants, and many others. Written by entomologist and educator Dr. John W. Guyton, this fascinating and informative book teaches young bug enthusiasts how to find, interact with, and collect arthropods safely.